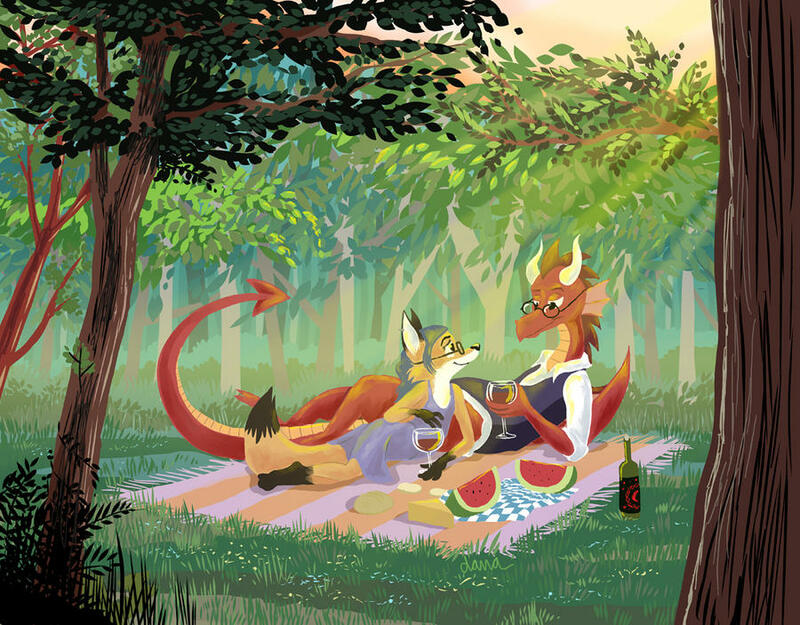 That’s a nice-looking picnic scene. That would make a perfect desktop wallpaper..
Oh, there it … HOW AM I NOT WATCHING YOU ON DA ALREADY?? awesome artwork, yet I’m sorta confused about the wine and watermelon mix. I’ll just blame Llewellyn’s peculiarities on the matter.